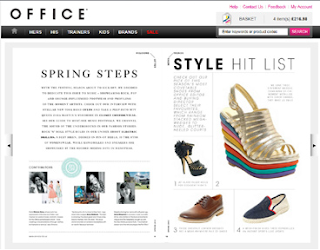 Office Shoes gives you a 10% discount on all full price items (Office Brand only). Just enter code OFFSS2 at checkout. The offer is valid until 28th February 2012. On their website you'll find the new spring and summer collection and also a new online magazine to read.